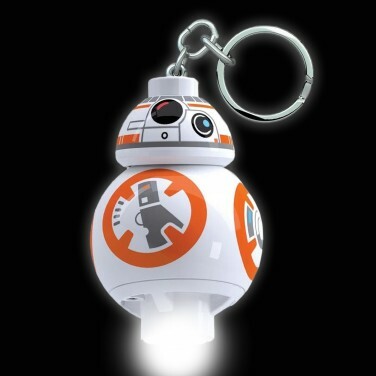 Star Wars fans will love this LED key ring torch that's see's the Force Awakens droid BB8 shine bright white light to guide you in the dark. 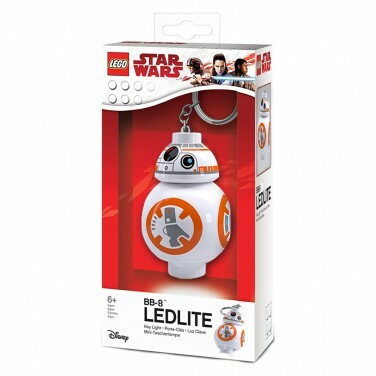 Lit by a bright white LED that shines from his base, this Lego BB8 has a touch sensitive belly; one light touch and he illuminates for up to 7.5 minutes before automatically switching off again. 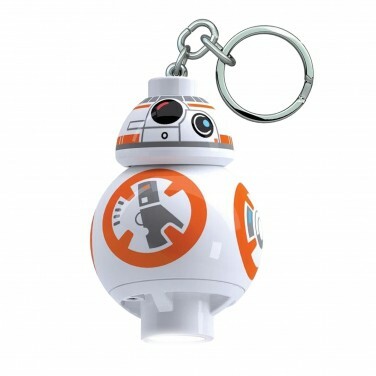 Ideal for attaching to bags and keys, BB8 is all you need for your light emergencies!